Sam Adams never seems to fail, much like my current favourite brewery, Rogue. We found this Barrel Room collection at the LCBO for about $35. 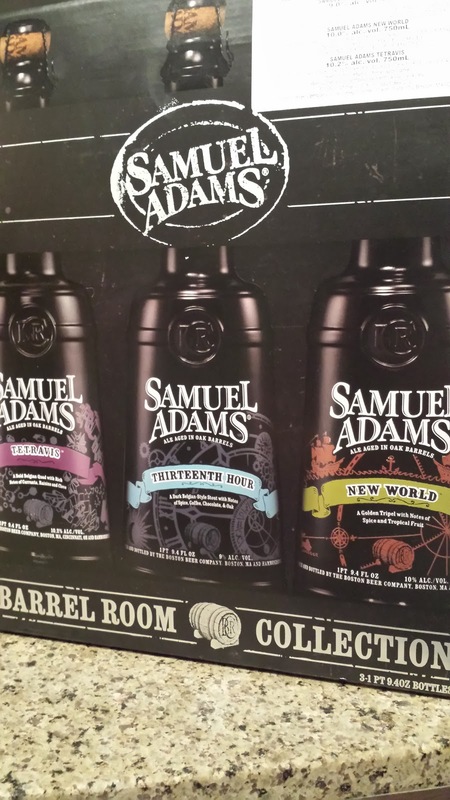 Three oak barrel aged beers in distinctly shaped bottles that make you want to save them for special occasions. I had my first one on Christmas day. The first bottle we had was the 10% New World (which sparked a duet of the Aladdin song "A Whole New World") Golden Tripel. Golden color, cloudy, flavour-hints of spice due to the two types of hops used, and finished with a light but earthy note. It had a slight sediment which made me reminisce about the recent peanut butter "sediment" I had in my Rouge collaboration with Voodoo Chocolate Peanut Butter & Banana Ale- there's nothing wrong with a little sediment in my books. This beer was impressive. Not only could you not tell it was 10%, it was so refreshing and fruity that I was disappointed we didn't get two boxes. Speaking about being disappointed, what's with Muskoka Brewery's price jack on their seasonal Double Chocolate Cranberry Stout? They put the Winter Beard bottle in a fancy box and charge $13.95 for what cost $10.95 last year? Now I'm not one to penny pinch so I bought one, but you also can't pull the shiny box over my eyes and charge me ~25% more when all I'm going to do is throw the box out. Sure, maybe they'll say it's because it keeps more light away from the bottle and makes for a better beer. Well when I crack this one open I'll let you know if it tastes ~25% better than last year's. Happy New Year, my friends. 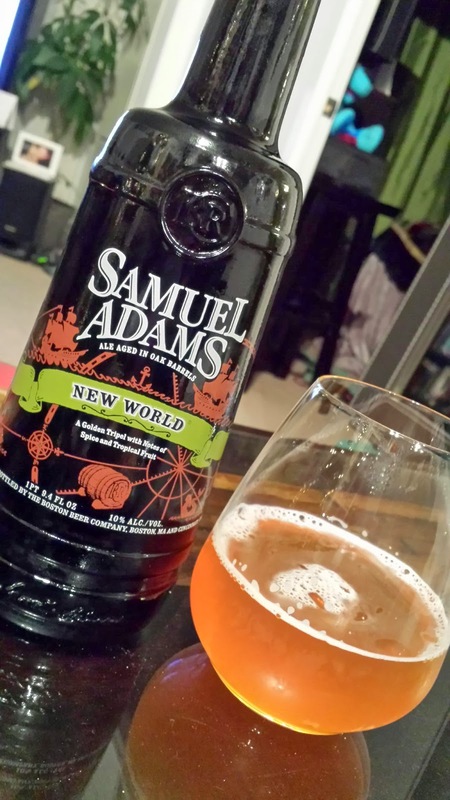 May your beer drinking be limited to only the best, because with great beers like Sam Adams New World, you're taking in a solid 265 calories per serving. Cheers!